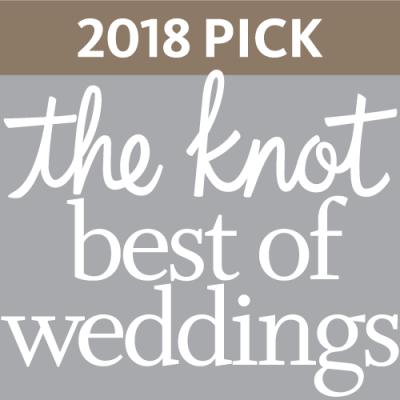 Grand Rapids, Michigan/January 22, 2018— Connie’s Cakes is pleased to announce that they have been selected as a 2018 ­­winner in The Knot Best of Weddings, an award representing the highest-rated wedding professionals as reviewed by real couples, their families and wedding guests on The Knot, the leading online wedding brand and app. This is the second year Connie’s Cakes has been selected for The Knot Best of Weddings. “We love being part of a bride and groom’s special day. This award from The Knot recognizes the hard work of our talented designers,” said Mary Scheidel, proprietor of Connie’s Cakes. Connie’s Cakes is a custom bakery that has a long history and exciting future in Grand Rapids. The company makes wedding cakes, as well as cakes for birthdays, graduations, and other occasions. They are located at 1416 Robinson Road in the Kingsley Building, part of the Eastown neighborhood. The business was started in 1995 by sisters Connie Hennip and Wanda Faber and purchased by Connie’s niece Mary Scheidel in 2010. Connie’s Cakes moved to Eastown in 2013.